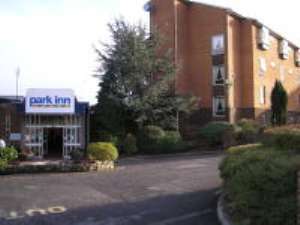 Park Inn, Cardiff North. HotelThis conveniently located hotel provides every convenience for both business and pleasure. Only five minutes away from the lively city centre and the impressive Cardiff Castle. Within easy access of the spectacular Millennium Stadium. Located just off the M4 junctions 29 or 30, and only a short journey from both the main Cardiff City Railway Station and the Cardiff International Airport.The hotel has it's own helipad and there are over 250 complimentary secure car parking spaces available. The Hotel offers 132 bedrooms, all rooms are en-suite, with colour television, beverage making facilities, trouser press & in-house movies. Family rooms - interconnecting family rooms are available upon request, but please book early. The hotel offers conference, banqueting and wedding reception facilities in its 11 function rooms. We can cater for meetings for 2 people up to a conference for 290 people and banqueting up to 200 guests. The Hotel is ideal for relaxing and offers full Leisure facilities including a gymnasium, indoor pool, steam-room, sauna and solarium. Breakfast, lunch, afternoon tea and dinner are all available. The hotel also offers a 24hr room service.The Avenue Table restaurant offers a variety of dishes on the buffet and also offers an excellent a la carte menu. All major sporting events are shown in our bar and lounge area which are great for meeting and relaxing with family friends and colleagues. A great location for exploring Europe's youngest capital city - the Capital City of Wales. Whether you want to explore beautiful beaches and Wales's beautiful coastline further or be challenged with the various moutain walks on the Brecon Beacons the hotel is conveniently located to all access routes. Places of local interest include the historic Cardiff Castle, the impressive Millenium Stadium, Welsh Folk Museum, Castell Coch Castle, Caerphilly Castle, Techniquest, Cardiff Bay, McArthur Glen shopping outlet and many more.